HAPPY THANKSGIVING! As we prepare to enjoy a snowy Thanksgiving in Chicago, I wanted to wish everyone a happy Thanksgiving. Also, for those of you that haven't tried it yet, Alton Brown's recipe for cooking turkey is quite simply the best turkey recipe in existence (I think it's even better than deep-fried turkey). I always go on a campaign this time every year promoting this recipe, so I thought I'd share it here. You won't be disappointed. DING DONG! THE FEDERAL CIRCUIT STRIKES AGAIN: Yesterday, the Federal Circuit released the opinion for IPXL Holdings, LLC v. Amazon.com, in which it was decided (among other things), that claiming both a system and the method for using that system renders a claim invalid under 35 U.S.C. 112, paragraph 2. While this concept has been generally known for a long time, its application has not been actively invoked in the courts. 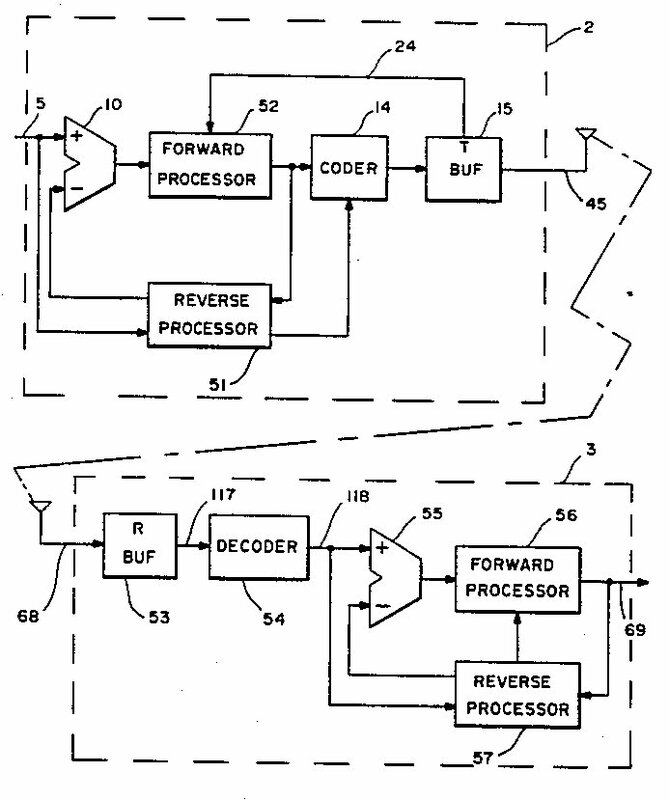 In fact, this issue was one of first impression in the Federal Circuit. But when one reads the decision, and the context in which the court made its ruling, you can't help but get cold sweats thinking about the numerous ways that claims can now be invalidated, especially those pertaining to software. What's even worse, the court spent only TWO paragraphs explaining its rationale for invalidating the claim, and basically relied on Landis and the MPEP for support. For a matter of first impression, you'd think the court would provide a little more guidance for patentees and practitioners, but this was not the case. In essence, they placed a flaming bag of you-know-what at the doorstep of the patent bar, rang the doorbell, and ran away. 25. The system of claim 2 wherein the predicted transaction information comprises both a transaction type and transaction parameters associated with that transaction type, and the user uses the input means to either change the predicted transaction information or accept the displayed transaction type and transaction parameters. And that was it. Now clearly the patentee had intermingled a method step into a system claim. However, functional steps are essential when claiming matters such as software. Just about every software system includes (1) some kind of processor and (2) some kind of memory; the novelty is always based in the steps performed in the software, sometimes even with user input. The system of claim 2 wherein the predicted transaction information comprises both a transaction type and transaction parameters associated with that transaction type, wherein the input means either changes the predicted transaction information or enables acceptance of the displayed transaction type and transaction parameters? Again, the decision doesn't say. And if the claim would be valid, is the Federal Circuit invoking a form-over-substance requirement on such claims? Such claims [claiming both apparatus and method steps] should also be rejected under 35 U.S.C. 101 based on the theory that the claim is directed to neither a "process" nor a "machine," but rather embraces or overlaps two different statutory classes of invention set forth in 35 U.S.C. 101 which is drafted so as to set forth the statutory classes of invention in the alternative only. See MPEP 2173.05(p). However, this theory of non-statutory matter was significantly whittled down after State Street. Has 112 failed to keep up? Under IPXL Holdings, this claim should be toast. Then again, so should about half of all the e-commerce and software patents currently in existence that have this type of claiming format. So, when is the petition for rehearing en banc being filed? ABOUT THE PHILLIPS V. AWH PETITION: As was predicted, AWH has petitioned the Supreme Court to review the landmark case regarding claim interpretation and to challenge the de novo review of claim construction on appeal. Dennis Crouch from Patently-O has provided a nice summary of AWH's petition here. You can imagine my surprise when Dennis e-mailed me last Thursday to inform me that AWH was citing a thesis paper I wrote in their petition to the Supreme Court. Since Dennis posted on this topic, I've received some e-mails from readers inquiring about the content of this paper (and one reader facetiously asked if they cited my Real Men of Genius post). Well, the paper is a somewhat-comprehensive study (47 pages, 341 footnotes) of Federal Circuit decision-making in the context of patent cases. The paper piggy-backs off of previous work done by William Rooklidge and Matthew Weil that outlined problems in the Federal Circuit and its apparent proclivity to encroach on the province of the fact-finder in ruling on patent cases. Coined "judicial hyperactivity" (not to be confused with "judicial activism"), this phenomena can be identified when an appellate court "usurps elements of the decision-making process that are supposed to be the province of the lower courts, administrative bodies or even litigants." And while the Federal Circuit has always been sporadically accused of exceeding its judicial authority, recent commentary is suggesting that the instances of the Federal Circuit exceeding its appellate authority are on the rise. This problem is compounded by Markman, and the fact that most cases become ripe for Summary Judgment once the Markman ruling is entered. There aren't any uniform procedures or rules on approaches to claim construction, and the Federal Circuit has had no problems reviewing decisions of district courts regardless of when the construction actually took place. While the Federal Circuit historically refused to consider interlocutory review of claim construction, it has become clear that post-construction summary judgment has become an accepted equivalent for litigants. As Judge Newman once remarked, "there isn't a lawyer or district court in the nation who hasn't figured out that all they have to do is turn the claim construction into summary judgment." In certain cases it would even be proper for the court to render a decision on the summary judgment, even if evidence extrinsic to the record has not been completely developed yet. I still have some copies of the thesis if anyone is interested. Just e-mail me and I'll be happy to send you a copy in the mail. APPLE, iPODS, AND PATENTS OH MY! Ever since Apple's iPod patent applications were found to have similarities with co-pending multimedia software applications filed by Microsoft, some journalists started to wonder whether a showdown was in the works between the two computer giants. 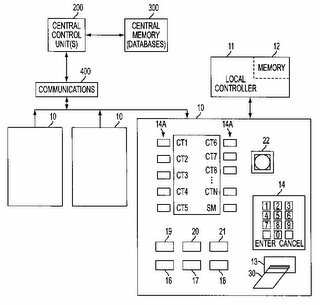 When Creative Technology announced that they received patents on "iPod-related" features, one couldn't help but speculate if Creative was preparing to have a go at Apple. Now say hello to Illinois-based Premiere International, who decided to file suit against Apple earlier this month in - guess where - Texas. The lawsuit alleges that Apple is infringing US patents 6,243,725 and 6,763,345. The '345 patent is a continuation of the '725 patent, which was originally filed in May 21, 1997. 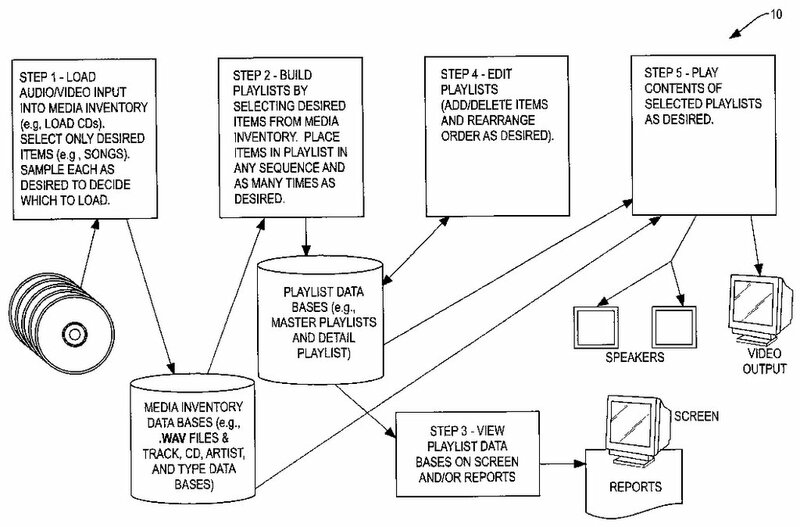 The patents deal with building an inventory of audio or audio/visual works, such as music videos. A plurality of works can be collected together in a list for establishing a play or a presentation sequence, and the list can be visually displayed and edited. A plurality of lists can also be stored for subsequent retrieval. The patents are of the "old-school" variety: lots of claims (210 between the both of them), with each set of independent claims having slightly different variations from the others. This used to be standard operating procedure during the State Street days (1998-2000), where practitioners weren't exactly sure if the State Street ruling would be overturned. As a result, patent practitioners drafted every concievable variation of claimed elements as a way to ensure that at least some part of the patent would be valid if the Federal Circuit or Supreme Court had a change of mind. 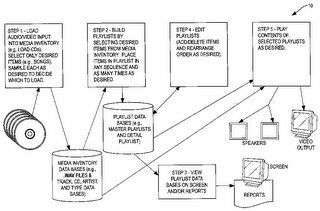 Anyways, from a prior art standpoint, the patents listed a variety of screen-shots from Windows Media Player and other CD Players (including CD Player 2.0 for Windows and MS-DOS). This should gum up the works a bit for grabbing the more "obvious" prior art sources. a play list editing system having a graphical display and a plurality of instructions which enables a user to simultaneously display portions of an inventory of the stored items and portions of a selected play list including editing instructions enabling a user to select a displayed inventory item and to insert it into the displayed portion of the list thereby creating a modified list and additional instructions for storing the modified list in the data base and for subsequently displaying a plurality of pre-stored lists, each of which can be selected for execution. It seems that this story will not end with Apple . . .
FROM HELL'S HEART, PUBPAT STABS AT THEE! Well, it seems that at the twighlight of Forgent's enforcement effort on their JPEG patent (US 4,698,672), the Public Patent Foundation ("Pubpat") has put an onion in the ointment by filing a reexamination request with the USPTO. For those that may not be familiar with the organization, Pubpat is a not-for-profit legal services organization that "represents the public's interests against the harms caused by the patent system, particularly the harms caused by wrongly issued patents and unsound patent policy." PUBPAT provides the general public and specific persons or entities otherwise deprived of access to the system governing patents with representation, advocacy and education. The most interesting part of this move by Pubpat is that Forgent's JPEG patent will expire at the end of October, 2006. By filing this reexam request, Forgent's pending litigations could be open to motions to stay proceedings, based on the outcome of the reexam. And if Forgent has to amend their claims during the proceeding (which, statistically speaking, is a likely outcome), Forgent will have to re-start all of their litigation based on the amended claims. Also, the multitude of companies that previously settled with Forgent will be motivated to review the infringement claims to see if an escape hatch has opened for them. The other interesting fact is that this appears to be the first challenge to the JPEG patent via reexamination. Considering the history that Forgent has with the industry, and the numerous individuals that claimed to have invalidating art, it's almost shocking that someone didn't pull the reexamination trigger earlier. The reexamination request (which can be viewed here) cites another Forgent patent (i.e., Compression Labs), US Patent 4,541,012, as invalidating art under 102(b). The reexamination request also insinuates inequitable conduct, noting that Forgent obviously knew about the patent (along with at least 5 other Forgent patents), and yet failed to cite any of them as relevant art under its Rule 56 obligations. Most likely, the USPTO will grant the reexamination request in the next few months. And once they do, the Forgent patent should join the ranks of NTP, Eolas, and Microsoft's FAT patent as one of the most closely watched reexaminations in the Office. PATENT COMMONS: OPEN FOR BUSINESS - Open Source Development Labs Inc. (OSDL) has launched its online patent commons reference library today. The library, which consists of five interlinked databases, is intended to give users a searchable database to boost confidence in using open-source software in light of the possibility of patent litigation. The free library contains information about patents and technology pledges. It details patent commitments from companies and individuals who wish to retain ownership of their patents, but pledge either not to assert particular patents or not to assert patents against software implementations based on specific technical standards. Users can search via the names of the contributors that have given patent pledges and covenants (i.e., CA, IBM, Intel Corp., Novell Inc., Red Hat Inc. and Sun Microsystems Inc.) Formerly known as Computer Associates International Inc., CA announced that it's changing its name on Sunday. RIM DECIDES TO SQUASH THE BERRIES: RIM announced this afternoon that they will be aggressively suing companies that affix "berry" to their products or services. In the last four months, RIM has sued two companies seen as allegedly capitalizing on RIM's goodwill: on Nov. 10, it sued the software company BackOffice Associates, whose technology division is called "Cranberry." It is also suing toymaker Sakar International Inc., which sells organizers with the names StrawBerry, BlueBerry, GreyBerry, GrapeBerry and GooseBerry. According to RIM, the similarly-named products are ``clearly intended to trade on the substantial goodwill that RIM has developed in its BlackBerry'' name, the suit against BackOffice contends. Sakar International makes hand-held organizers for children that, according to the suit, some reports have described as resembling the BlackBerry. As a result of the suit against it filed in August, Sakar has pledged to change the names of its Cyber Gear toys to remove the berries. Both trademark-infringement lawsuits were filed in Dallas. No word was given on the fate of FrankenBerry and BooBerry . . . 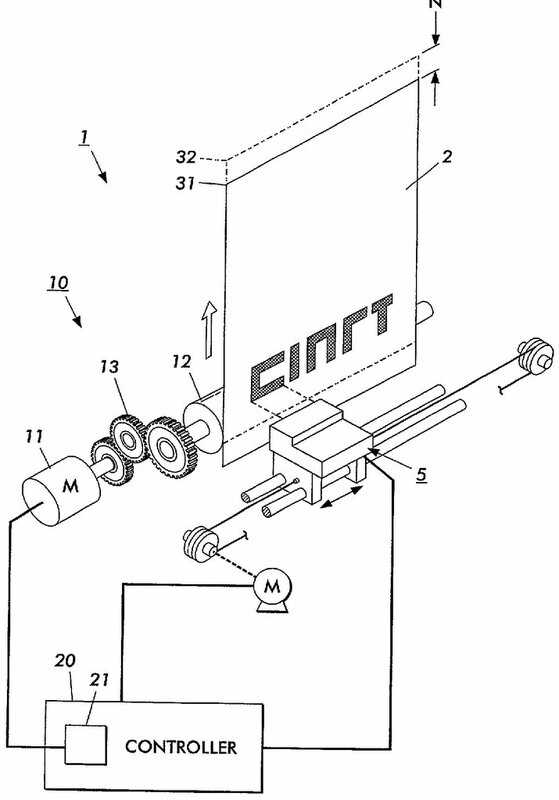 US Patent 6,963,848, filed March 2, 2000 titled "Methods and system of obtaining consumer reviews". based at least in part on the first customer's review, using a collaborative filtering process to automatically generate personalized recommendations for the first customer of other items. determining an order in which to present the multiple categories to the user such that the order is dependent upon the category scores. 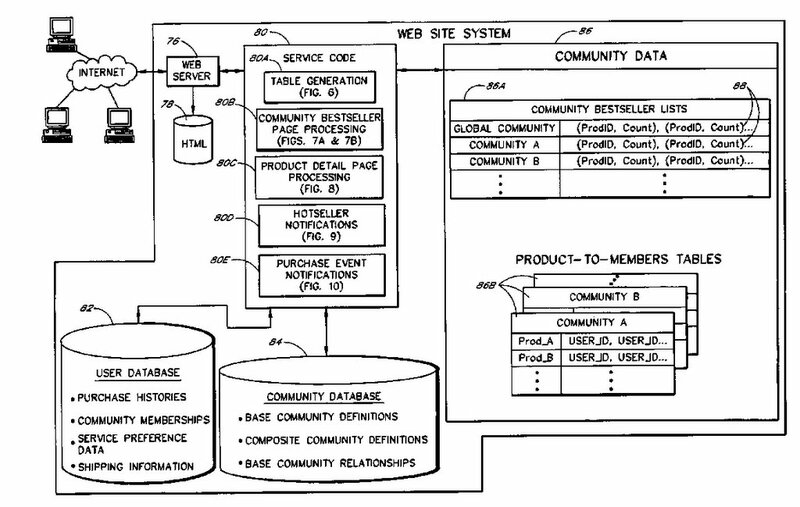 The '850 and '848 generally cover “purchase circles,” that are arranged as community recommendation systems, where purchasers are encouraged to post reviews and ranking search results across multiple categories. 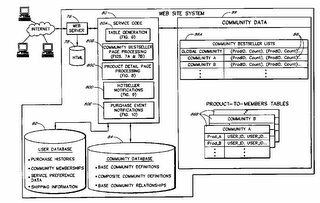 Within those communities—which could be based on as little as the same domain name in the member’s email address or the city of their billing address—Amazon’s patent covers technology for generating lists of the most popular items and telling other community members about them. According to Amazon, only the purchase circle technology is currently in use, said Amazon spokesperson Craig Berman. He would not comment on Amazon’s plans to pursue the patents. Since thes patents were filed, reviews have risen to the forefront of many sites, with user recommendations playing a key part of the emerging local search and advertising market. To see the fireworks over at Slashdot, click here. FEDS TAKE STAKE IN BLACKBERRY LITIGATION: The U.S. government has inserted itself into RIM's high-stakes patent fight with NTP, saying it wants to make sure federal workers won't be cut off from mobile access to their e-mail, should NTP prevail. The Justice Department filed a "statement of interest" last week to explain how the U.S. government, with as many as 200,000 BlackBerry users, could be harmed if an injunction gets issued against Research In Motion Ltd. to stop selling the device and accompanying e-mail service. NTP has promised several times in the past that they would not extend the injunction to any government or emergency personnel in the United States. However, RIM is claiming that there does not appear to be a simple manner in which RIM can identify which users of BlackBerries are part of the federal government, and which are not. SURPRISE, SURPRISE - USPTO IS LOOKING AT THE POSSIBILITY OF HIKING FEES AGAIN - It is interesting that, hot on the heels of Congress making gestures to eliminate fee diversion, the Congressional Quarterly is reporting that fee increases are being considered to "generate more revenue" for the USPTO. The bill (H.R. 2791), sponsored by Judiciary Chairman F. James Sensenbrenner Jr., R-Wis., is intended to provide more resources for an agency that lawmakers say is underfunded, overworked and staggering under a backlog of nearly 500,000 pending patent applications. schedule enacted late last year. The increased revenue is intended to enable the patent agency to hire an additional 2,900 examiners and move to full electronic processing of applications. While not providing any further details, the bill would require the patent office to rebate to applicants any revenue from fees that exceeds the agency's appropriation. As I suspected, the issue of patent examination quality is becoming a classic "your money or your life" situation with the USPTO. Knowing that businesses are concerned over such issues, the USPTO has parlayed these concerns into a quest to grab more money without providing accountability in return. USPTO management currently has no meaningful way of actually punishing shoddy work product (unless it gets really bad). Accordingly, the USPTO turns to the classic governmental cure-all (i.e. more money) to proclaim that without more funding, we are all doomed to a future of sub-standard patents . . . Speakers for both workshops include attorneys from prominent law firms and IP counsel from some of the largest US corporations. Definitely worth checking out if you get the chance. HOLDING COMPANIES: THEY'RE NOT JUST FOR "CLOSED-SOURCE" ANY MORE - This morning, three of the world's biggest electronics companies - IBM, Sony and Philips - have joined forces with the two largest Linux software distributors to create a holding company for sharing Linux patents, royalty-free. Called "The Open Invention Network" (OIN), the holding company is amassing patents pertaining to open source to create a centralized repository of "safe" patents in an effort to protect vendors and customers from patent royalty disputes resulting from freely shared Linux code. The company will be headed by Jerry Rosenthal, who is the former vice president of IBM's Intellectual Property and Licensing business. The acquired patents will be available to any company, institution or individual that agrees not to assert its patents against the Linux OS or certain Linux-related applications. One of the more notable patent portfolios that were acquired by OIN are the B-to-B e-commerce patents that were purchased in a bankruptcy auction from Commerce One for $15.5 million by a Novell subsidiary ("JGR Acquisitions"). Allegedly, the holdings also include 500 of IBM's software patents pledged in January to open-source developers, as well as Sun's 1,670 Solaris patents pledged shortly thereafter. Last month, IBM announced additional pledges to the healthcare industry. In August, Open Source Development Labs (OSDL) launched its Patent Commons initiative that seeks to collect software licenses and patents pledged to the open-source community in a central repository. Today, OIN has become the centerpiece of that effort. For me, these open-source pledges were always an "I-get-it-but-I-don't-get-it" situation. These pledges have been pretty heavy on the PR, and rather light on the actual details of the overall structure of this deal. It is apparent that some strings will remain attached to these patent pledges - there's no way these companies would invest tens of millions of dollars only to give these patents away with a hearty handshake. IBM sees that Engineering and Technical Services unit as an unheralded growth engine. Those R&D-consulting engineers are expected to haul about $1 billion in services contracts in 2005, just three years after the group's formation. But executives say the group's real value is that it stimulates lucrative hardware sales -- especially in the chip division, which has bet heavily on providing high-end microprocessors for IBM machines and outside clients. The highest-profile work by the E&TS unit, as it is called, is customizing the chips that will run next-generation video game consoles made by Microsoft Corp., Nintendo Co. and Sony Corp. E&TS also has a $100 million deal to develop military technology with Raytheon Co. and an alliance to do telecom research with Nortel Networks Corp., which has cut its own staff mightily in recent years. The United Arab Emirates government is paying E&TS $125 million to develop automobile "black boxes" that monitor traffic and automate toll collection. The Pentagon relies on E&TS to ensure a domestic supply of top-tier chips for sensitive military electronics. E&TS people say this is just the beginning of a push to extend the fruits of IBM's unparalleled research and development efforts -- which get nearly $6 billion a year in funding and make IBM the top U.S. patent holder -- into such fields as gaming, aerospace, defense and medical devices. A very clever move, and possibly the first one I've seen that would seriously capitalize off of open-source formats (the Patent Prospector blog has some additional insight here). And if the joint-development agreements are written correctly, IBM could put its muscle behind further patenting by development partners (not to mention knock-out a chunk of IBM prior art under 35 U.S.C. 103(c)), who may not otherwise be keen on patenting their R&D. IS QUALCOMM HAVING A "REARDEN STEEL" MOMENT? It seems that every time you turn these days, Qualcomm gets drawn into a new dispute over its CDMA/WCDMA patent portfolio. It has gotten to the point that 6 major companies (Ericsson, Nokia, Broadcom, NEC, Panasonic and Texas Instruments) have recently turned to the European Commission (EC) to claim that Qualcomm is "stifling" the phone chip trade by engaging in "anti-competitive conduct" by not licensing their technology in a "fair, reasonable and non-discriminatory" way, pursuant to the WCDMA standards, established previously by wireless companies. The tension surrounding Qualcomm's patents has been building since earlier this year, with a growing number of wireless equipment makers becoming increasingly peeved at the market power and royalties that come with Qualcomm's near-monopoly grip on CDMA. Qualcomm collects a fee for almost every CDMA-based phone sold and a growing number of GSM-based handsets. Qualcomm is now claiming that next-generation versions of GSM have borrowed patented aspects of its CDMA portfolio to boost connection speeds, increase network efficiency and capacity, and facilitate multimedia services. In May, wireless chipmaker Broadcom sued Qualcomm for infringement of patents for audio, video and data services and filed a complaint with the International Trade Commission alleging unfair trade practices. Two months later, Qualcomm returned the favor by suing Broadcom for infringement of patents relating to cell phone semiconductors. Now that wireless equipment companies have decided to turn up the heat on Qualcomm by filing their complaint to the EC, Qualcomm has responded by filing a complaint for patent infringement against Nokia, who also happens to be one of Qualcomm's largest customers. A pretty bold move, if you ask me. The patents asserted against Nokia are the same ones that Qualcomm asserted against Broadcom in the earlier litigation. And judging from their previous behavior, there is a fair chance that more litigation is in the pipeline. This will definitely be one of the more significant patent disputes in the wireless industry (this one could potentially dwarf the RIM/NTP dispute). In the end, odds are that everyone will eventually settle and move on, but for the time being, this dispute will provide plenty of drama for months to come. And maybe it's me, but the situation in the EC reminded me of Rearden Steel's dispute with the government and other steel and manufacturing companies in Atlas Shrugged ( i.e., the "Anti-dog-eat-dog Rule" and the "Equalization of Opportunity Bill"). Is Qualcomm a modern day equivalent of Hank Rearden? Beats me, but in the meantime, the parallelisms are hard to ignore . . .
DATATREASURY SET TO INCREASE PRESSURE ON BANKING INDUSTRY AFTER NEW SETTLEMENT: In one of the more closely-watched patent litigations filed this year, DataTreasury Corporation announced today that France's Groupe Ingenico, a major player in point-of-sale electronic transaction terminals, has decided to settle in the matter, and that a licensing deal has been reached. This lawsuit was one of several highly publicized suits DataTreasury filed in federal court against a variety of banks and payment-processing companies. The Ingenico settlement follows settlements with banking giant JPMorgan Chase, check-processing software provider NetDeposit, Inc., and RDM Corporation, a manufacturer of transaction terminals and check-image repositories. While settlement terms were not disclosed, it wouldn't be unreasonable to assume that the settlement was in the seven-to-eight-figure range. Like other defendants, Ingenico was accused of infringing U.S. Patent Nos. 5,910,988 and 6,032,137, which were issued to DataTreasury in 1999 and 2000 for image capture, centralized processing and electronic storage of document and check information. 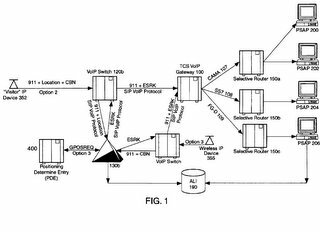 These patents describe a technology process capable of implementing the federally enacted Check Clearing for the 21st Century Act, popularly known as "Check 21." enter yet another Consent Judgment stating that these patents are valid and enforceable. Our trial team will now enforce this company's intellectual property rights by trying First Data Corporation, Wells Fargo, Bank of America, Citigroup and the rest of the defendants on the only real issues that remain--infringement, damages and willfulness damages. Let the trials begin! I have to admit that I'm surprised how quickly the chips are falling in DataTreasury's favor. I've read through the patents, and they appear to be pretty solid (i.e., fairly well-written, with reasonable claims). However, even solid patents will have some chinks in the armor, because, after all, this is where most applicants tend to skimp on prior art searching due to obvious cost factors. Also, as I previously mentioned on this blog, these patents did not have any non-patent prior art cited against them, and both applications issued as patents after the first office action. That may not mean anything in the end, but that suggests to me that there is at least a possibility that non-patent prior art is floating about. But the fact that these settlements are rolling in currently suggests that DataTreasury's patents may have some heft to them. Nevertheless, I am always cynical towards statements made in press releases, and I rarely trust them ("the louder a man speaks of his virtue, the tighter the grip should be on the wallet"). It's also possible that DataTreasury is offering cut-rate settlements to get some big names on the books to help browbeat others into settling as well. If I was being threatened by DataTreasury, I would definitely start browsing through tax filings or corporate reports to extrapolate the estimated monies received from these settlements. Previous post on DataTreasury - 271 Patent Blog. DataTreasury's settlement with JP Morgan - 271 Patent Blog. "WHAT YOU PATENT CAN AND WILL BE USED AGAINST YOU IN A COURT OF LAW" - What should serve as a lesson to entrepreneurs, Forterra Systems announced yesterday that a lawsuit was filed in the United States District Court for the Northern District of California against Palo Alto, Calif.-based Avatar Factory, and its founder Will Harvey, a noted gaming software developer. 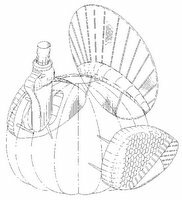 (Forterra Systems, Inc. v. Avatar Factory, etal., Case # 05-CV-4472). The suit charges Avatar and Will Harvey with infringing a patent pertaining to instant messaging in a 3D virtual environment. While the press release doesn't list the patent, it would seem that the lawsuit is based off of US Patent 6,784,901, titled "Method, system and computer program product for the delivery of a chat message in a 3D multi-user environment." The interesting thing about this lawsuit, is that Will Harvey a co-inventor in the '901 patent. Harvey founded a company called There, which pioneered software offering virtual reality chat rooms over the Internet. Eventually, There changed its name to Forterra Systems, which currently owns the patent asserted in the lawsuit. During that time, Harvey left There and formed his new company, Avatar Factory. The suit alleges that a new virtual reality business at Avatar, which relies on virtual instant-messaging, infringes the patent for messaging in a 3D virtual environment developed and patented while Harvey was at There. This case presents a recurring challenge in Silicon Valley regarding the ability of entrepreneurs to start a company and contribute intellectual property such as the patented technology in this case to attract investments, and later leave to start another venture that may infringe the intellectual property rights created during the earlier venture. This is similar to Yahoo's ongoing litigation with XFire, where a co-inventor left Yahoo to work at XFire, only to find himself staring down the barrel of his own patent. Who needs non-compete clauses in employment contracts when you have patents? TOP IP JUDGES CALL FOR EU PATENT COURT: Europe’s top IP judges made an unusual move this week by kicking off a campaign to create a unified European patent court, following a top-level meeting of lawyers last month. The ‘judges’ resolution’, is to form the basis of a campaign to lobby European Union (EU) governments on the issue. The proposed European Patent Court, would function as a unified court of first instance and a single appeal body for all cross-border patent disputes. The campaign attempts to pick up the pieces from the European Patent Litigation Agreement (EPLA), which established the original framework for litigation reform in 1999. The EPLA proposes a central European patent court, with local ‘sub-courts’ operating in eight major jurisdictions, including the UK, Germany and France. The initial agreement states that the majority of cases would be heard in English, but other languages would be considered as well (the Commission has been bogged down over the languages that patents are filed and heard under). The judges will now circulate the resolution to the governments of EU member states in an effort to put pressure on the Commission to support the EPLA. 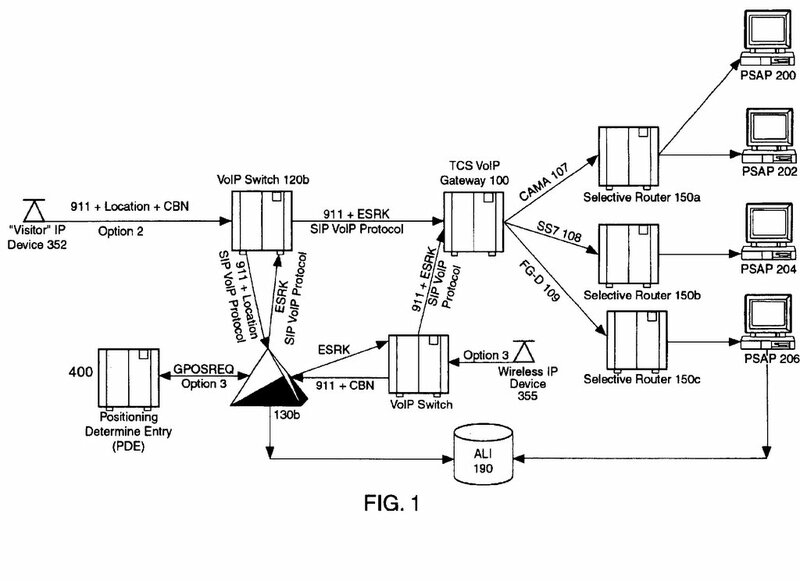 STORYLINE PATENT PUBLISHED IN USPTO: As was reported previously on this blog, a utility patent application was filed by Andrew Knight in November, 2003, claiming to be the first application to claim a fictional storyline. There was an initial buzz regarding this patent application, due to the apparent effort to extend patent protection to the liberal arts. However, there was limited information that was available to the public at the time, due to the fact that none of the patents were published yet. participant in a plurality of events. Sounds a lot like Memento to me. Nevertheless, the case has not had an examination on the merits yet (it was docketed on 10/6 to art unit 3715). The USPTO has assigned the application to class 434, subclass 365, which deals with education and demonstration, and particularly with "Means for Demonstrating Apparatus, Product, or Surface Configuration, or for Displaying Educational Material or Student's Work." Let the fun begin . . .
WHAT'S NEXT FOR FORGENT? It would seem that after October 27, 2005, someone would have posted a website, ticking away the seconds before Forgent's US Patent 4,698,672 ("the JPEG patent") expires on October 27, 2006. To date, this patent has produced a windfall for Forgent, bagging over $100 million in licensing fees for Forgent's coffers. But the party, for the most part, will end in 2006. Realizing this, Forgent has gone on a litigation binge, suing Apple, IBM, Google Inc., Microsoft Corp., TiVo Inc., Hewlett-Packard Co., Eastman Kodak Co., and many others (some 40 companies in all). Recently, RIM settled their patent dispute with Forgent over the JPEG patent. 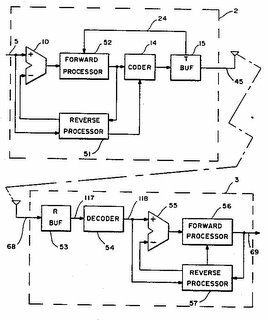 Each of these patents are continuations that ultimately trace back to an application filed on May 21, 1991. Needless to say, the lawsuits have already started. One thing that I noticed as odd was that Forgent continues to retain their outside counsel on contingency. Under their earlier arrangements, the law firms representing Forgent have taken 50% of collected revenues. Unde their new arrangement, outside counsel "only" take 43%. It makes me wonder what is preventing Forgent from turning to a conventional billing regime (i.e., billable hours). REALITY CHECK FOR CHINA: After reading news articles published over the last year, one may conclude that it is only a matter of time before the technical juggernaut that is China will become the dominant innovative force in the world. Just about every business and law firm has been aggressively courting Chinese partnerships and seeking Chinese clients to become a part of this growing movement. And judging from China's recent performance, especially over the last 5 years, they seem well along their way. However, according to an article written by Guy de Jonquieres from Financial Times, it may be premature to conclude that China's predicted dominance is destiny. While it is given that many of the cited statistics tell only part of the story, some of the extrapolations made from these statistics actually paint a misleading picture. For one, China produces two-and-a half times more graduates each year than the US. But in proportion to its population, it produces barely half as many - and has only one-eighth as many engineers engaged in research and development. And when this fact is considered in relation to its huge development needs, the country may have too little skilled manpower, and not a glut. Also, the country's sheer output of technical publications is not as relevent as the significance of the publications, as judged by the number of times the publications are cited by researchers elsewhere. Under this standard, China doesn't fare as well. Furthermore, there's the issue of Intellectual Property - IP protection is still a very new concept in China, and there are few incentives for Chinese companies to invest subtantially in matters like patent protection. China's apparent awakening to intellectual property (and particularly the exponential increase in the filing of patents), has more to do with the fact that most of the filings are being done by government research centers, rather than privately-owned corporations. This is a potentially damaging policy - in Japan and South Korea, 60 per cent of patents held by government research centers remain unused. And to date, there is little that connects state-funded R&D to commercially successful products. The article goes on to point out other issues that China must address if they are to continue their spectacular rise in the global market, including reforming VC funding and approaches taken by the government towards national security. But before any of these issues are addressed, no one is in a position to preordain China's dominance: "[i]n truth, the country's race to innovate is a giant experiment. We simply cannot know how it will turn out. Anyone who asserts otherwise deserves a sceptical hearing."